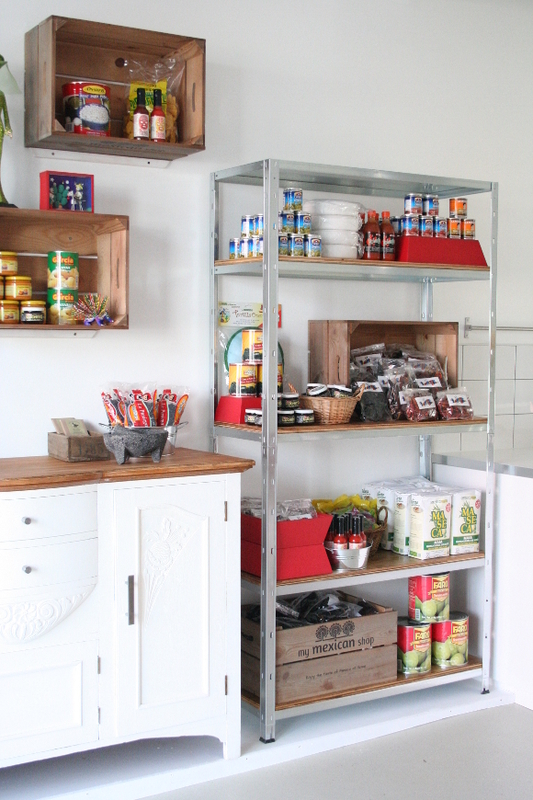 A couple of weeks ago I shared a plethora of photos of the newly completed #PicadoMexican pantry. 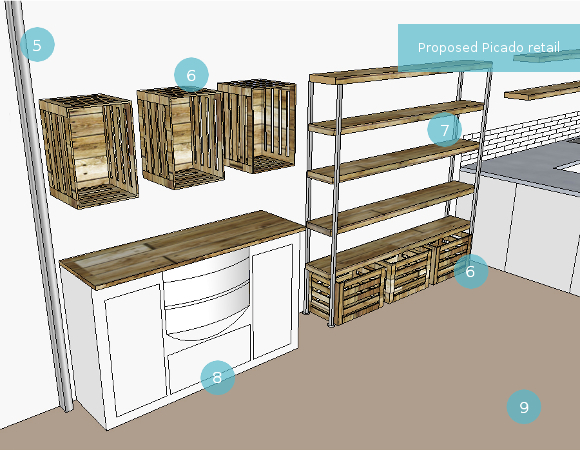 As there was so much involved in the project, I wanted to break down the details into 3 parts detailing the different sections of the shop – the retail section [that’s where you are now! ], the kitchen, and the pay and display. I wanted to share the good, bad, and the mostly awesome roller coaster ride and design process that made #PicadoMexican what it is today. So let’s get stuck into the details, shall we? NOTE: 1-4 are kitchen details and will be shared within the next 2 weeks. 5. Since the security shutters could only be installed within the shop, they in a way acted as a separation between the shop and the window display. We’re making this space work to our advantage! 6. 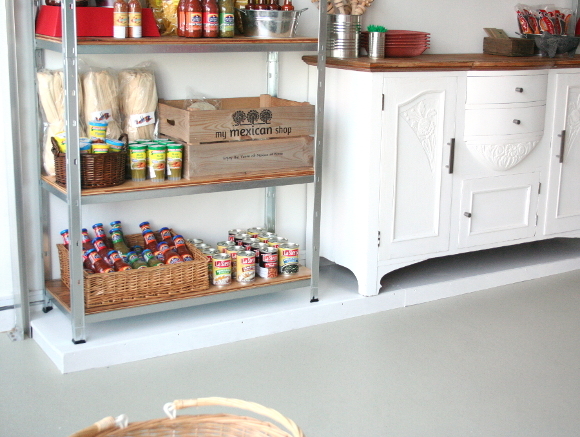 Lily and Alan had 10 industrial crates made for their My Mexican Shop market stall. We reused these as mini display cabinets to add another level of shelving as well as storage units. 8. 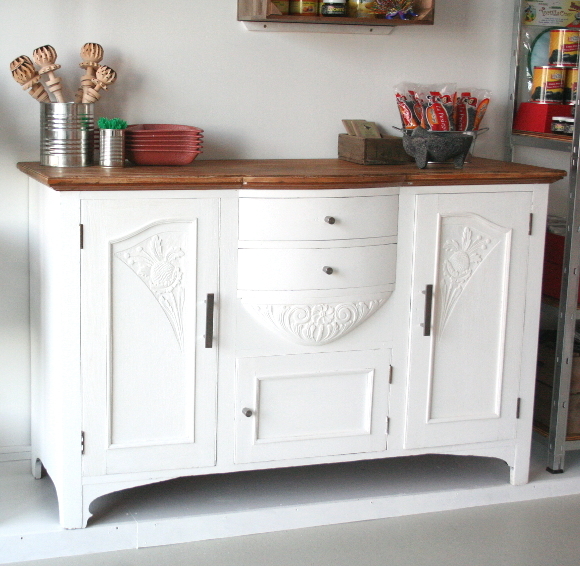 It was important for me to incorporate pieces Alan and Lily used throughout their market days, so I upcycled a vintage dresser of theirs and incorporated it into the shop as a display piece and as extra storage. 9. The main floor space will be doing double duty – a table will serve as a display area and in the evenings during Lily’s cookery courses, will serve as a prep and an om nom nom area. Lily and Alan’s vintage dresser was something I wanted to incorporate into the design. I felt it was important to carry through some roots from their pantry and market stall beginnings. The vintage dresser wasn’t a family heirloom of theirs so they were more than happy for me to repaint it. 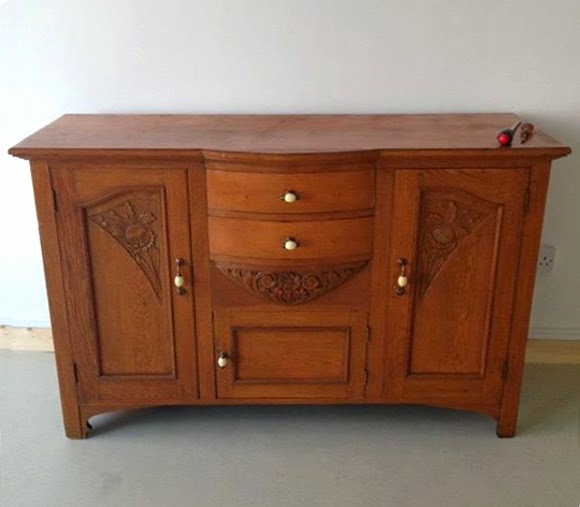 This beast of a dresser is quite a solid piece and was used as a display cabinet back in the day, so it didn’t stray far in Picado. I couldn’t not incorporate it into the design. I sanded it down and wiped the dresser before applying 3 coats of Annie Sloan’s pure white chalk paint. I removed the existing hardware and replaced them with stainless steel EKEBODA handles from IKEA, which not only fit in with the industrial slant we were taking, but they’re the same handles that were used on the kitchen cabinets which [I like to think] subtly link the two spaces together. As for the main storage, I was originally hoping to construct a set of pipe shelves. But as it turns out, pipe accessories are hella expensive here in Ireland compared to all those North American tutorials I drool over endlessly. With each piece costing upwards of €8.50, that option was quickly ruled out. I was in B&Q at the time so I voiced my concerns to one of their hardware specialists. I told him a bit about the industrial look we were going for, “…kinda like these industrial shelves used to display stuff here in B&Q …”, as I stared up at the ginormous shelving all wide-eyed. He pointed me in the direction of their 5 tier galvanised boltless shelves, and I ran. The galvanised shelves met everything we were looking for. They were the perfect size for two shelves to flank either side of the vintage dresser and they were well within budget. There was however one minor detail I was a bit concerned with – the thickness of the shelves. The label said the shelves could take 65kg per shelf, but the metal shelves themselves were a bit warpy and would pop up and down in the centre. You know, and make that loud flexing metal sound? 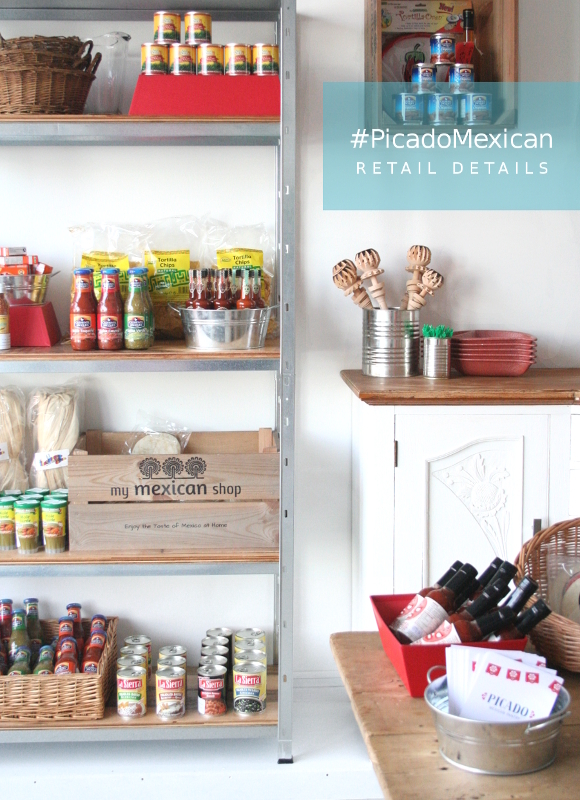 The majority of #PicadoMexican‘s products were in glass bottles or tin cans, and I was concerned that such dense items would warp the shelves. So to give them some extra stability I suggested adding chip board to strengthen and evenly distribute the weight. Alan’s dad expertly cut and stained the planks of chip board to fit each shelf which also added to the industrial look, and tied in with the wooden top of the vintage dresser. Weight now evenly distributed = winning. And it looks good? Winninger. 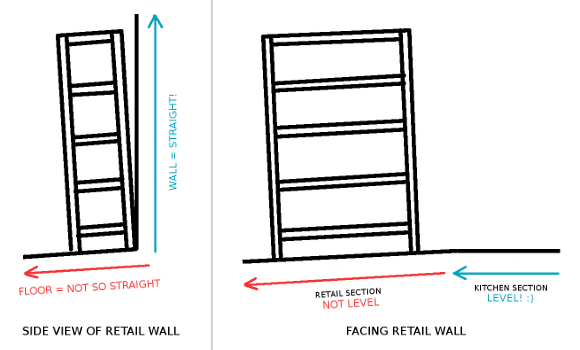 It meant that when we first assembled the shelves and put the base of them against the wall, the top half of the shelves were tilted away from the wall, as well as sloping down to the left. I burst into a cold sweat. I went home that night a failure. How was I going to fix this? I came up with all sorts of wild ideas, most of which involved anchoring the top of the shelves to the wall, and some of which involved me attacking things with a saw. We couldn’t have shelves teetering all over the shop in case [god forbid] someone knock into them, the shelves and their contents would collapse on top of them. I would literally have blood on my hands. To say I lost sleep over it was an understatement. Then one morning I woke up at 3am with a solution – build a tiny step / ramp / deck that will level off one side of the shop that the vintage dresser and shelves can sit on. It seems wildly obvious to me now, but at the time it was a real case of not being able to see the forest through the trees. I passed the details onto Lily and Alan’s carpenter, Allen, and his mad carpentry skills produced this bad boy. It is perfection and I nearly cried at his skills and if it’s not too conceded to say, my being able to solve the problem. I conquered the sloping floor before it conquered me. And it very nearly did. So those are our little stories behind the design process the retail section went through to get to where it is today. 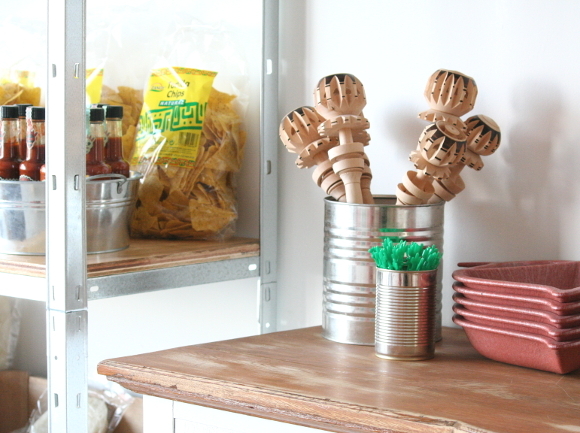 Check back next week when I’ll be sharing details and pictures for the kitchen section of #PicadoMexican! Good to find out more! The dresser looks amazing, great transformation. I think those shelves with the addition of the stained chipboard work so well with the look – that chipboard really gives it that something extra and everything ties in so well. Great solution for the sloping floors – you'd think it was just a design feature rather than a problem solver, if you see what I mean. I'll show this to the Lumberjack as I was showing him your Picado Mexican reveal last night, as he had asked after you. His response to the post was "we should go to Dublin" – so I'd take that as a stamp of approval! It looks great! The idea is great! I do stuff like this too and I get very inspired by that kind of ideas. Thanks for sharing! Why thank you, spam commenter. I'm going to keep your comment because it's so non-specific and entertaining. So risqué. Old buildings are full of charm, but also full of challenge. The platform idea is genius! LOVE this whole post. Love the cabinet/dresser too. The existing relief cut almost feels Mexican! 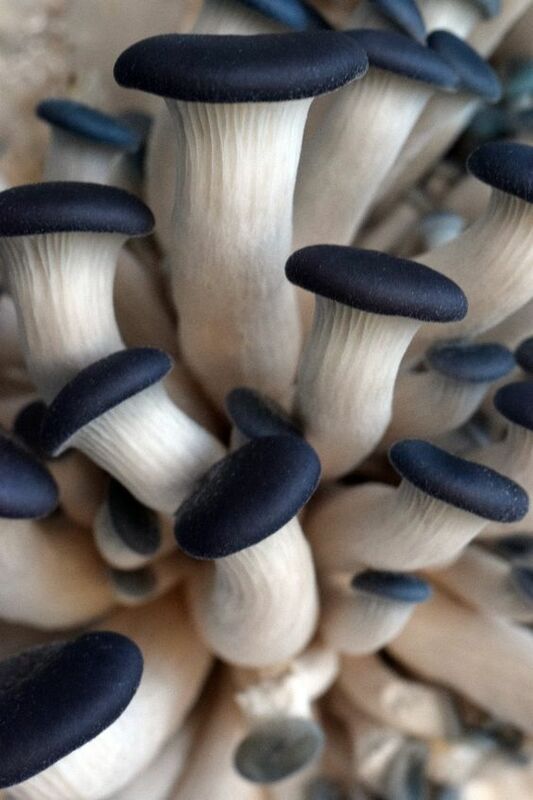 I like the freshness of the white as well.